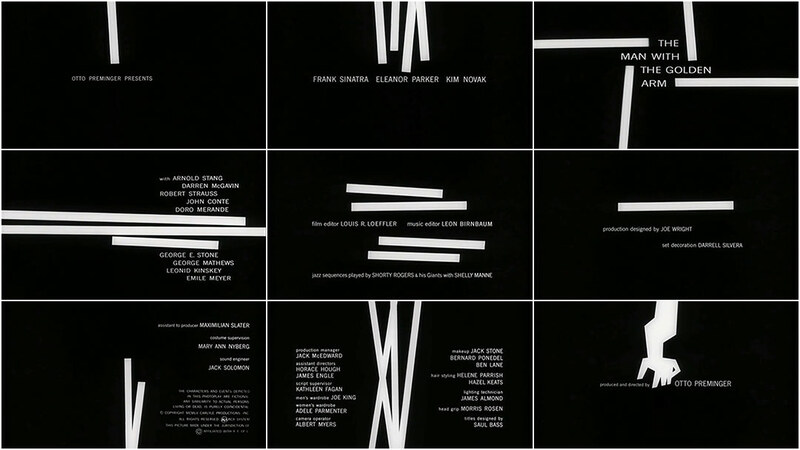 Author Pat Kirkham discusses the opening titles for The Man with the Golden Arm, from her authoritative book Saul Bass: A Life in Film and Design. In 1954, Preminger again defied Production Code guidelines when adapting Nelson Algren's powerful novel about drug addiction, a taboo topic in mid-century America. The challenge facing Saul was how to create a symbol that captured the drama and intensity of the film without resorting to sensationalism. He created an arresting image of a distorted, disjointed arm. The semi-abstract form helped distance the image from the harsh realities of shooting up, although they are implicit in the (dis)figuration. 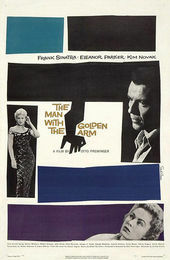 As well as being disconnected from a body, the black arm has the appearance of being petrified and transformed into something else, just as the Sinatra character in the film is transformed by his addiction. When prints went out to theaters all over the country, Preminger made sure they were accompanied by a note instructing the projectionist to run the first reel only after the curtains were drawn back.